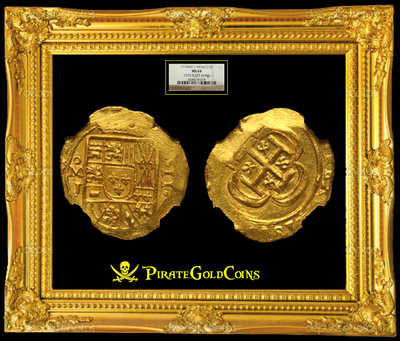 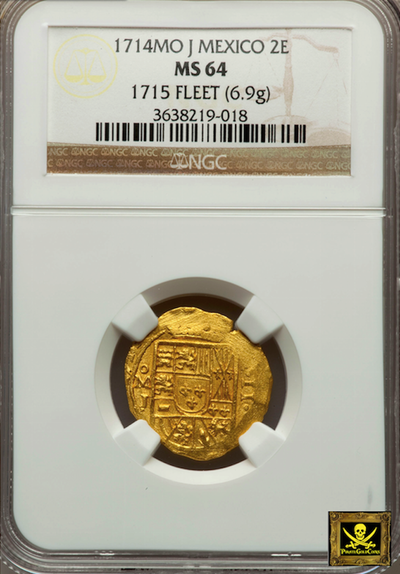 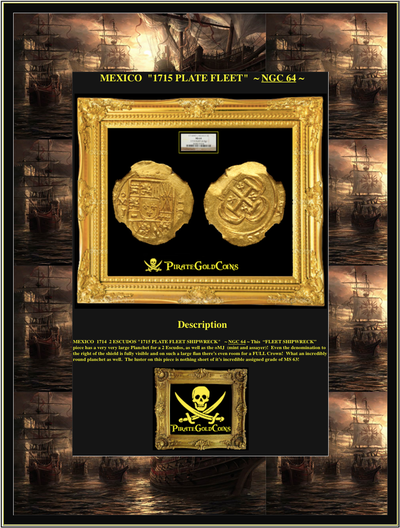 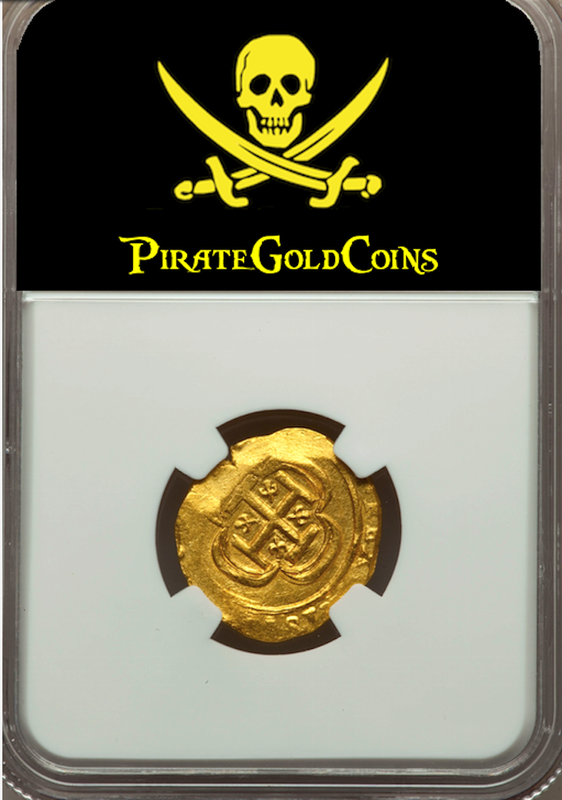 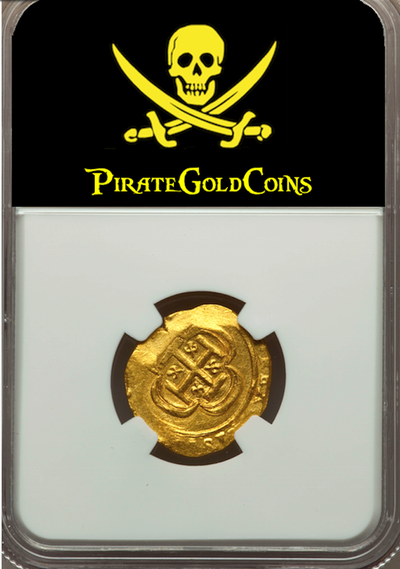 MEXICO 1714 2 ESCUDOS "1715 PLATE FLEET SHIPWRECK" ~ NGC 64 ~ This “FLEET SHIPWRECK” piece has a very very large Planchet for a 2 Escudos, as well as the oMJ (mint and assayer)! 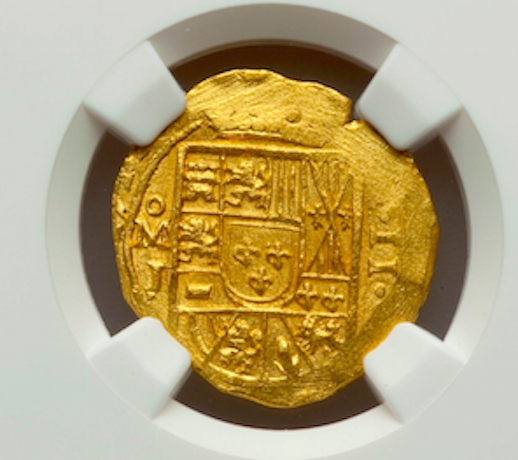 Even the denomination to the right of the shield is fully visible and on such a large flan there’s even room for a FULL Crown! What an incredibly round planchet as well. 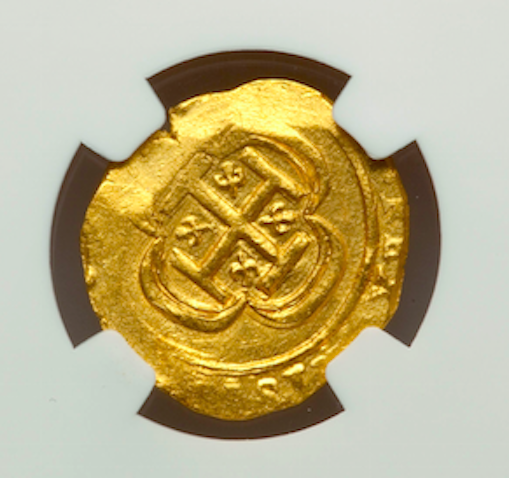 The luster on this piece is nothing short of it’s incredible assigned grade of MS 64!